This is six year old Addie. We are Folding for Good for Addie by sending her and her family the Christmas cards she is wishing for this year. 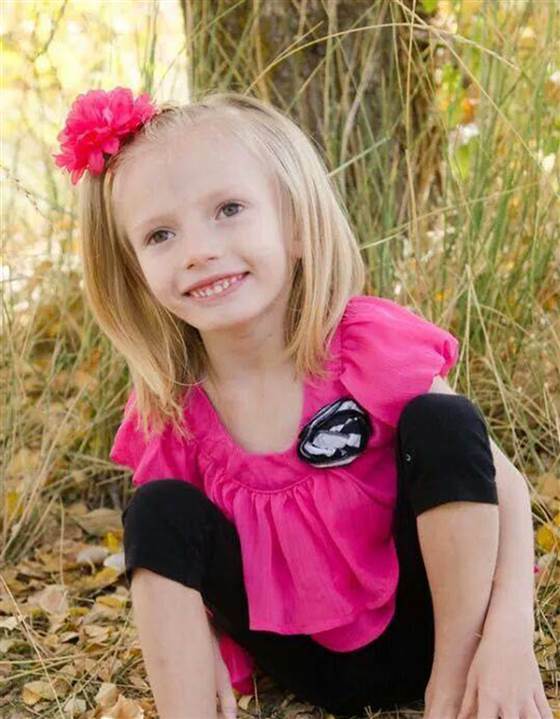 There is a six-year-old girl in Utah who has a mystery brain condition–this is likely her last Christmas on earth. She and her family are wishing for greeting cards from all over the world to help create a holiday they will joyfully remember forever. Folding friends, please consider Folding for Good this holiday season by sending Addie and her sisters a unique card or origami. Can one folder change the world? Be a force for Good this holiday season. Do Folding for Good for Addie. Share yours and we will post photos. 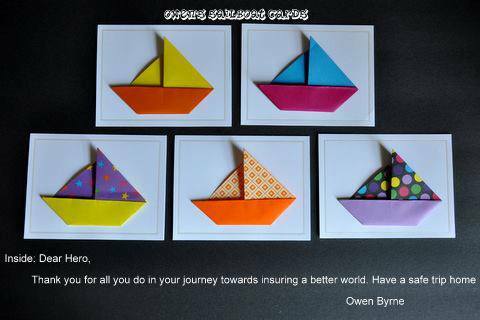 To get the creative juices flowing, here are a few examples of origami cards we at Origami Salami produced for another of our Folding for Good initiatives. Owen Byrne, President, Origami Salami Queens, New York City, folded these greeting cards for our past initiative to thank our troops for their service. 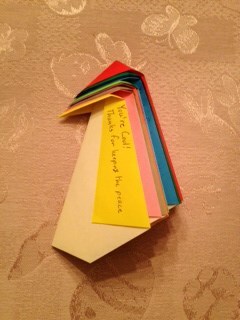 I sent a bunch of these simple origami penguin greeting cards with handwritten wish for a past Folding for Good initiative to thank our peacekeeping troops around the world . This entry was posted in Addie Lynn, Change the World, Do Good, Folding for Good, Origami, Origami Salami and tagged Addie Lynn, Calista Frederick-Jaskiewicz CEO Origami Salami and Folding for Good, Change the World, Folding for Good, Make a Wish, Origami, Origami Salami, Owen Byrne President Origami Salami and Folding for Good Queens New York City.